Ahadith 2568 – 2570 (below) are repeats. See linked text for related posts. I saw the Prophet (sallallaahu `alayhi wasallam) eating of a shoulder (of a sheep) by cutting from it and then he was called to prayer and he prayed without repeating his ablution. As above (Hadith No. 173) and added that the Prophet (sallallaahu `alayhi wasallam) put the knife down. Abu Umamah al-Bahili said, “The Prophet (sallallahu alayhe wa sallam) delivered a speech to us, most of which dealt with the Dajjal and warned us against him. 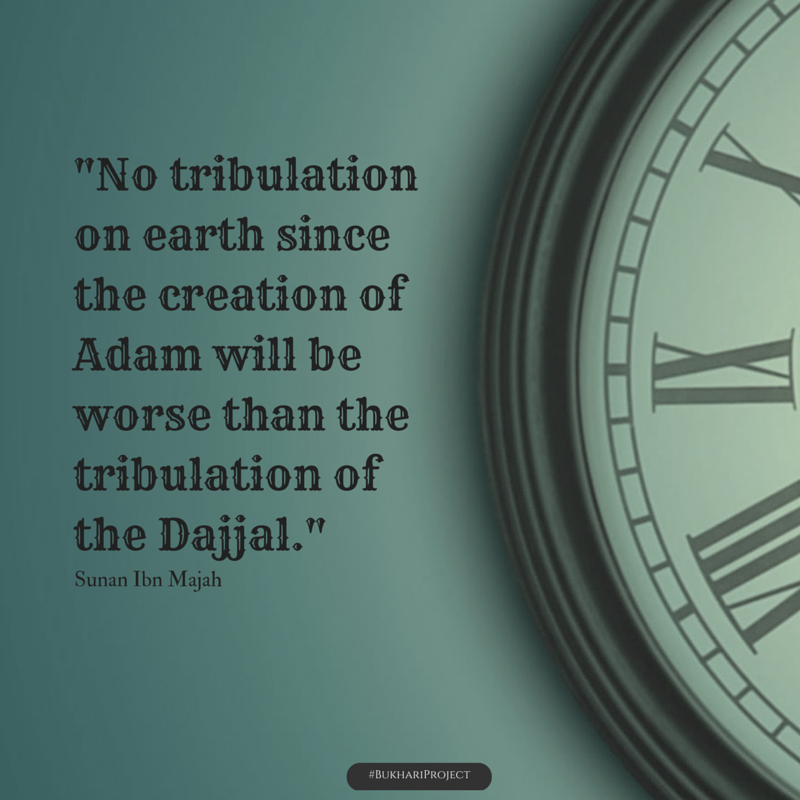 He said, ‘No tribulation on earth since the creation of Adam will be worse than the tribulation of the Dajjal. Allah has never sent a Prophet who did not warn his Ummah against the Dajjal. I am the last of the Prophets, and you are the last Ummah. The Dajjal is emerging among you and it is inevitable. If he appears while I am still among you, I will contend with him on behalf of every Muslim. But if he appears after I am gone, then every person must contend with him on his own behalf. He will appear on the way between Syria and Iraq, and will spread disaster right and left. O servants of Allah adhere to the path of Truth. I shall describe him for you in a way that no Prophet has ever done before. He will start by saying that he is a Prophet, but there will be no Prophet after me. Then he will say, “I am your Lord,” but you will never see your Lord until you die. The Dajjal is one-eyed, but your Lord, glorified be He, is not one-eyed. On his forehead will be written the word Kafir, which every Muslim, literate or illiterate, will be able to read. Among the trhewill bring will be the Paradise and Hell he will offer; but that which he calls Hell will be Paradise, and that which he calls Paradise will be Hell. Whoever enters his Hell, let him seek refuge with Allah and recite the opening Ayat of Surat al-Kahf, and it will become cool and peaceful for him, as the fire became cool and peaceful for Abraham. Umm Sharik bint Abil-Akr said, “O Messenger of Allah, where will the Arabs be at that time?” He said, “At that time they will be few; most of them will be in Bayt al-Maqdis (Jerusalem), and their Imam will be a righteous man. Whilst their Imam is going forward to lead the people in praying Salat al-Subh (the morning prayer), Jesus son of Mary will descend. The Imam will step back, to let Jesus lead the people in prayer, but Jesus will place his hand between the mans shoulders and say, ‘Go forward and lead the prayer, for the Iqamah was made for you. So the Imam will lead the people in prayer, and afterwards Jesus (alayhe salam) will say, ‘Open the gate. The gate will be opened, and behind it will be the Dajjal and a thousand Jews, each of them bearing a sword and shield. When the Dajjal sees Jesus, he will begin to dissolve like salt in water, and will run away. Note: this hadith is found in Sunan Ibn Majah and graded weak, but other sahih ahadith confirm some of its parts. Hadith no. 2128 (below) is a repeat. Read it here. A drink (milk mixed with water) was brought to Allah’s Apostle (sallallaahu `alayhi wasallam) who drank some of it. A boy was sitting to his right, and some old men to his left. Allah’s Apostle (sallallaahu `alayhi wasallam) said to the boy, “Do you allow me to give the rest of the drink to these people?” The boy said, “O Allah’s Apostle (sallallaahu `alayhi wasallam)! I will not give preference to anyone over me to drink the rest of it from which you have drunk.” Allah’s Apostle (sallallaahu `alayhi wasallam) then handed the bowl (of drink) to the boy. This shows us how a minor(-looking) injustice can bring about such grave punishment in the Hereafter. 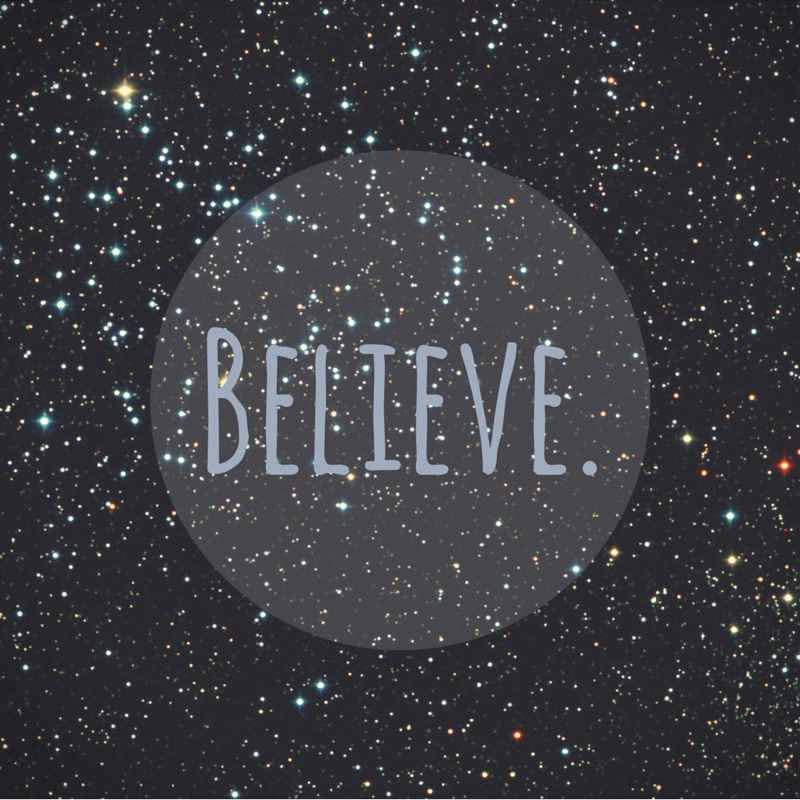 Be honest and just, no matter what! Ahadith 2122 – 2123 (below) are repeats. Related posts have been linked (see hyper-linked texts). The Prophet (sallallaahu `alayhi wasallam) said, “A believer to another believer is like a building whose different parts enforce each other.” The Prophet (sallallaahu `alayhi wasallam) then clasped his hands with the fingers interlaced (while saying that). d. denying others their rights. It is known in Islam that the punishment of a person in the Hereafter is similar to what he committed previously in the life of the Dunya. For instance, if a person has two wives and he mistreats one of them, then on the Day of Judgment he will come leaning on one side. The Prophet (SalAllahu ‘alaihi wassallam) states in these ahadith that oppression will turn into darkness on the Day of Resurrection. The reason for this is when someone oppresses another; he turns the life of another person into darkness. For instance, if one steals someone’s $100 000, he changes that person’s life into difficulties and gloominess. As a retaliation, on the Day of Judgment, Allah will darken the life of the oppressor for what he did. On the Day of Judgment, one will have to cross a bridge in order to gain entry into Paradise. The person’s good deeds will act as a light so that he may cross and bridge and enter into Paradise. If someone oppresses, or is a disbeliever, a hypocrite, or a Muslim with very few good deeds, then they will not receive this necessary brightness to cross the bridge. In the two hadith that are mentioned above, the Prophet (SalAllahu ‘alaihi wassallam) compares oppression to darkness in the Life-after. This comparison implies that oppression is haram. It is not only haraam but it is worse than haram because it is clear in the sunnah whenever the Prophet (SalAllahu ‘alaihi wassallam) specifies the punishment of an act, that sin is a major sin. If the Prophet (SalAllahu ‘alaihi wassallam) does not mention the punishment of the sin, then it is categorized as a minor one. So this hadith proves that oppression is a major sin.